Special thanks to Bob Giardina, Jennie Rossotti,and the Lake County Historic Courthouse Museum. 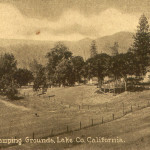 The explorer and surveyor William Bell Elliott discovered the area of Sonoma and Lake Counties known as the Geysers in 1847. 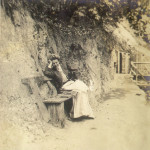 About the time of the Civil War, a stagecoach service into the area was established. 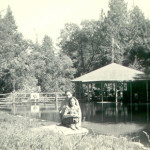 Dr. Aleck Anderson of Vallejo and his brother-in law, Laban S. Patriquin, located several springs at the head of Loconoma Valley, situated 5 miles northwest of Middletown along a branch of Putah Creek. He named them after himself in 1873. 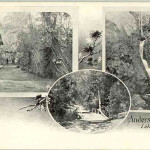 Thus began the known history of Anderson Springs as a resort area. The original hotel was built in 1876 and could accommodate about 30 guests. 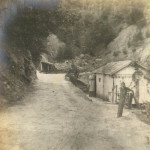 Bathhouses were near the hotel, but the hot spring was 2,500 feet away with water conducted through a wooden pipe. 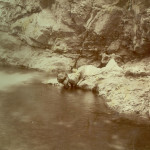 A steam bath was arranged over a hot spring on the bank of the creek. The two developers constructed all of these. 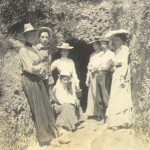 For many years daughters of Dr. Anderson ran the resort. 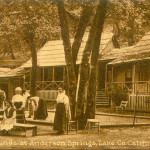 In 1910, the hotel and cottages provided accommodations for 150 guests. 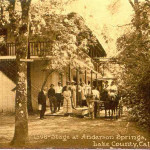 There were nine different springs on the property, both cold and warm, the names of some being iron, sour, magnesia, hot sulfur and iron, iron and magnesia. 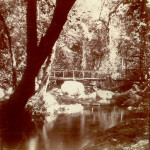 The water emerges at rather widely separated points on the property, but is reached by paths that form pleasant walks along the wooded canyon. 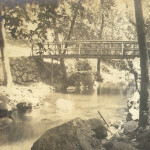 The Cold Sulfur Spring, which is the farthest downstream, issues from schistose material at the creek edge 300 yards east of the hotel. It has been protected by a cement basin and yields a small flow of cool, clear, rather strongly sulfured water used for drinking. 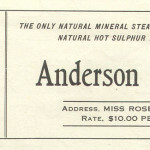 Courthouse Museum materials The Anderson heirs sold the resort property to A.R. 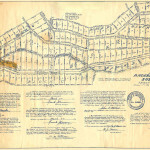 Meade, and Mr. Meade sold off portions of the property and a number of homes constructed on the premises. (HM 9576) No.19 Mead Prospect, 1942 The Meade prospect is on land owned by Ray Meade of Middletown in sec. 35. 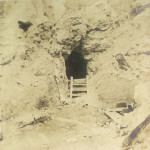 T. 11 N. R. 8W., on the ridge between Bear Canyon and Gunning Creeks. 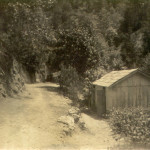 It is 5 miles by road and 1 mile by trail northwest of Middletown.